When money is tight, creative solutions make all the difference. NASA, no stranger to funding woes, has made the brilliant tactical decision to essentially crowdsource work that once upon a time it might have done itself, or work that otherwise might not have happened. One example is the Lunar Plant Growth Habitat team, which hopes to grow plants on the moon. Another is the ELaNa IV (Educational Launch of Nanosatellite) mission and the cubesat Launch Initiative, which involved over 300 students. Nine teams from universities and one high school team got to launch their work — nanosatellites, otherwise known as cubesats — into the cosmos. 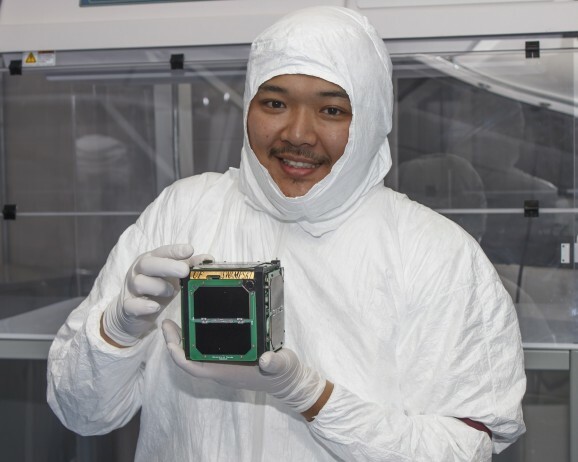 Cubesat launch initiative started in 2010 and has since chosen over 90 cubesats from universities and colleges, as well as government labs; the upcoming launch will be the fourth. The cubesats hitch a ride up on commercial rockets, and they’re tiny — about four inches long with a weight of less than three pounds. While researching for their projects, students get to learn all kinds of awesome stuff and often snag aerospace experts as mentors. On November 19, the cubesats launched on an Orbital Science Minotaur-1 rocket. Everything went well, and that rocket brought up 29 satellites in total — a record for a single rocket. We’re making satellites like crazy, y’all!